Outside of the amazing Master Classes we have planned, Dance & Company’s Summer Intensive will begin each day with a group stretch and strength warmup led by Miss Kathleen, focused on improving technique, stamina, and flexibility. This will lead into “turns and tricks” classes, where dancers will improve on and learn new and challenging skills. Students will also utilize and combine these skills through choreography in variety of genres throughout the week. Additionally, Dance & Company’s Summer Intensive will include dance choreography workshops, where students will learn the important aspects of dance composition as well as story-telling, creativity, and performance. Miss Kathleen’s role will include overseeing the summer programs, creating and running activities, introducing dancers to new skills and techniques, and teaching choreography in a variety of dance genres. Kathleen is excited to create summer programs that will help our Dance & Company students learn and grow as dancers in a fun and positive environment! 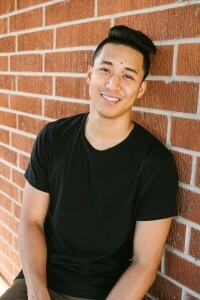 Brian Bose is an actor-singer-dancer, choreographer/director, and international teaching artist who is considered one of the “Faces to Watch in Arts” by the UT San Diego. 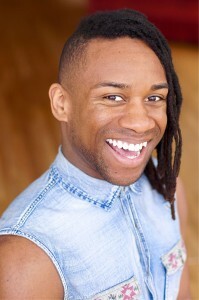 This former Dance & Co. Musical Theater Instructor has performed in The Lorax (Children’s Theater Company, The Old Globe); In The Heights (San Diego REP, Ordway, Schuster Center); Mr. Chickee’s Funny Money (Apollo Theater); DJ Latinidad’s Latino Dance Party; Safe at Home and The Lost Tribe of PA-US Cargill (Mixed Blood Theatre Company); In The Heights and Dirty Little Secrets (San Diego Repertory Theatre); The Bacchae (London Oval House Theater); Romulus Kilgore’s Mobile Happiness Bazaar (La Jolla Playhouse W.O.W. Festival); A Civil War Christmas (Diversionary Theatre) and It’s All Bueno (Cornerstone Theater Company). Brian trained at UC San Diego, British American Dramatic Academy, Steppenwolf West and CSULA Academy of the Dramatic Arts. He revels as a multidimensional storyteller. Certified by: Marie Walton-Mahon – PBT founder and creator — In PBT classes we focus on gaining core strength and stability, while triggering correct body placement and muscle memory through use of fit balls and resistance bands. All exercises are ballet based and help the athlete to isolate those hard to find muscles. PBT is an amazing program with over a decade of great success and worldwide testimonials. Miss Kristie, was formally a Principal Ballet Dancer with the California Ballet Company. Dance teacher and coach for the past two decades, she now dedicates her time to coaching serious dancers. Kristie was incredibly blessed to have been certified in PBT directly under the guidance of the PBT founder and creator Marie Walton-Mahon. 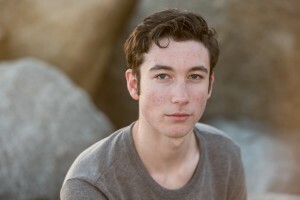 Jacob’s work has been featured in The San Diego Fringe Festival, San Diego Dance Theatre’s Young Choreographers Showcase and Prize 2018, as well as receiving prestigious choreography awards at national dance competitions for his dances and/or dancers. In the future, Jacob hopes to choreograph and create pieces for music artists and dance conventions around the globe. This is Jacob’s first season with Dance & Company and he is so happy and grateful to be part of the staff and is ready to share his choreography and energy with the Dance & Company family. 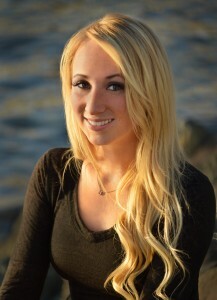 Annika began dance and gymnastics training at age 2.5 in San Diego, CA. After completing all Royal Academy of Dance (RAD) Vocational Graded Ballet Examinations and over a decade of jazz and lyrical/contemporary training, Annika had acquired a solid foundation of dance technique and continued dancing into college as a Dance Major. Now, with over 12 years of dance teaching experience, Annika has developed a style of teaching that utilizes different learning modalities and student-centered curriculum as a means of igniting experiential learning, and creates a safe space for students to develop their understanding of body, expression, and choice. Annika teaches preschoolers and senior citizens, families and new parents, and holds workshops for teen girls, women, and teachers. Annika’s deep understanding of ballet, contemporary, modern, and jazz techniques serve as a foundation for her classes that are geared to different communities of people with different needs. Whether you are a new mover or a trained, experienced dancer, Annika provides a learning experience that is rooted in empathy and human connection to extend the dance experience. Annika is a student of the National Dance Education Organization’s OPDI program for continual and ongoing learning, is a certified BrainDance educator, and is a member of the American Dance Therapy Association. 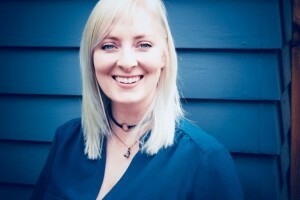 Annika uses DanceAbility Methodology to include students of all mental and physical ability, and focuses on the mind-body connection using neurodevelopmental movement sequencing. 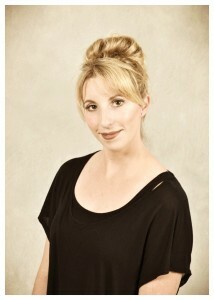 As a past instructor at Dance & Company, Annika is thrilled to be back in the studio dancing with old and new students!